What a relief that the charity skiathon for the Boys and Girls Club of Ottawa made a big splash, figuratively speaking only — not literally. 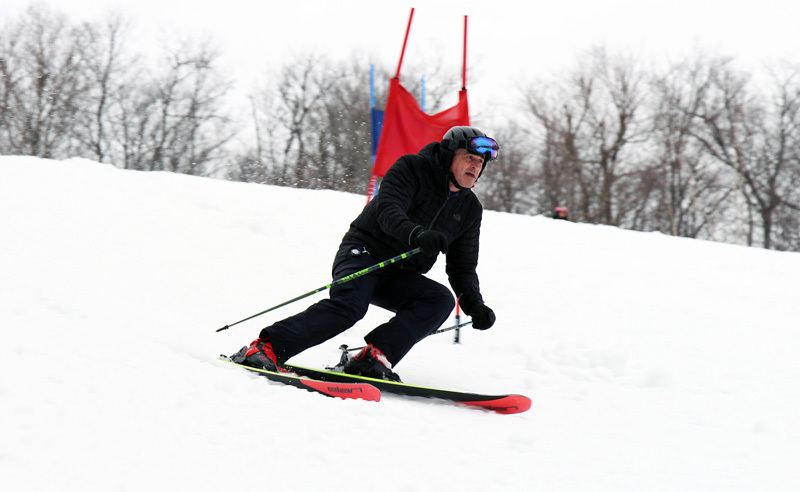 The snow did indeed stick around, allowing for 120 members of the local business community to work on their goggle tan and enjoy a day of spring skiing at Camp Fortune ski resort in nearby Chelsea, Que. Organizers took a risk by holding the fundraiser late in the ski season, but skiathon chair and BGCO board member Darcy Walsh was pretty sure the snow wouldn't melt into giant puddles or deteriorate to bare-ground conditions. “I’m not going to lie; maybe around the 1st of March, when we got that warm spell, I was saying, 'Oh no! ', ” added Walsh, senior vice president and general manager of the Ottawa office of global public relations marketing firm Edelman. 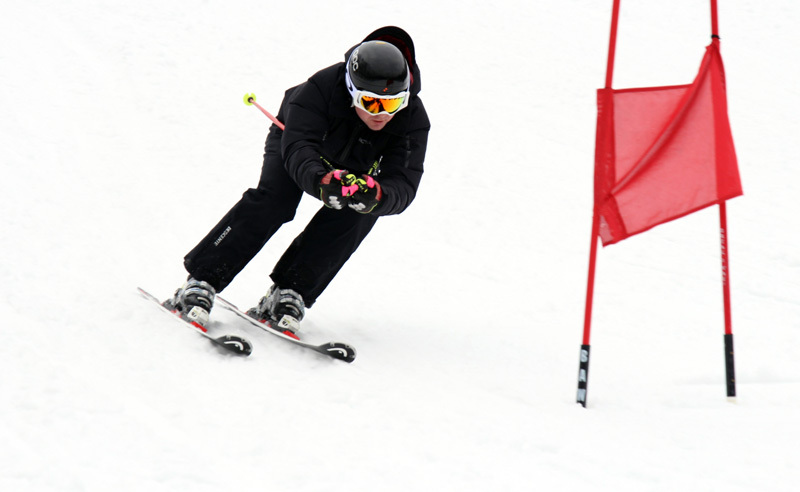 Walsh, who grew up as a competitive ski racer, stepped up at the last minute to take the lead with this year’s skiathon. For years, it had been headed by CIBC Wood Gundy’s Brett Fripp out at Mont Tremblant. The 2018 event committee decided to push the fundraiser to the end of March to buy itself some much-needed planning time. “Darcy, man, you pulled it off — you and your committee,” BGCO board chair Stephen Beckta said while publicly congratulating them and thanking everyone at the aprés-ski party held at the Chelsea Pub on the town’s main drag. Beckta, who is majority partner of the Beckta, Play food & wine, and Gezellig restaurants, has a personal connection to the BGCO. He spent time at its former clubhouse in Centretown as a kid. "It changed my life, and my trajectory," said Beckta. The fundraiser raised a net total of $70,000 for the Boys and Girls Club of Ottawa and also saw sponsors and committee members score primo swag in the form of lightweight ski jackets. The skiathon involved the participation of 2018 Olympic skier Dustin Cook -- who spoke that morning before catching a flight back to Aspen, Colorado -- as well as a panel discussion with elite skiers Mikaela Tommy, Ryan Semple and Patrick Biggs, the latter of whom is the program director for Camp Fortune’s Alpine Race Club. “We wanted to make it a true ski day experience and have some of our local greatest skiers in the world be part of the day,” said Walsh. Serving as the double black diamond sponsor was Solace, a world leader in open data movement technology. The Kanata-based company’s president and CEO is veteran tech executive Les Rechan. He, with his wife, BGCO board member Meredithe Rechan, are generous supporters of the non-profit organization. The BGCO provides after-school, weekend and summer programming for roughly 4,500 kids and youth each year. The number of annual visits to its clubhouses has been steadily increasing, reaching 114,000 in 2016. Les Rechan ended up giving another $1,600 to the cause after being the highest bidder on a pair of round-trip WestJet tickets (some hockey tickets and a stay at the Andaz were also thrown in). Solace is an official gold partner of Alpine Canada. It's taken a big role in strategic research and innovation projects aimed at putting Canadians on top of World Championship, World Cup and Olympic/Paralympic podiums by, for example, developing the fastest race suits possible. Even though organizing committee member Brendan Bell wasn’t turning 35 for a couple more days, it was nice to hear the good old Happy Birthday song belted out in his honour by the gang who’d gathered afterward at the Chelsea Pub. Bell, a graduate of St. Pius X High School, is a former NHL player whose 13-year pro hockey career included playing with the Ottawa Senators. The father of three now works in financial planning as a partner at Stratum Advisory Group. Bell wasn't the only person there with a connection to Pius. There was also 17-year-old Tolu Lawal, a Grade 12 student from the Catholic high school. The teen spoke over the lunch hour about the important role the Boys and Girls Club has played in his life over the past 10 years. His speech garnered a standing ovation. “Growing up, it was easy to dream of being a doctor or a corporate lawyer, but you soon begin to realize that the world presents challenges and nothing in life comes easy,” he told everyone. “I began to realize that I could not be successful on my own, and that I needed my wings. The room heard how Lawal has enjoyed really neat and cool experiences, mastered new sports, raised his grades by participating in homework clubs, and become a better person with the help of volunteer mentors. And all for free. He was one of the BGCO youth who got to downhill ski for their first time during the skiathon. His modest description of himself as just an average kid only made him more endearing. "But, who’s to say that average people can’t do great things and become successful," he mused. Lawal is hardly average. He's been accepted into both the biomedical engineering program at Carleton University and the human kinetics program at St. Francis Xavier University, has six pending scholarships, and is the student body president at his high school.